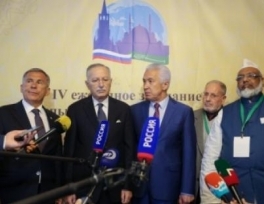 Tatarstan President Rustam Minikhanov, commenting on the results of the Russia-Islamic World forum, thanked Russian President Vladimir Putin, Head of Dagestan Vladimir Vasilyev, and the Ministry of Foreign Affairs of the Russian Federation for supporting the idea of ​​holding this event. He also noted the significance of the event for the region, which is the largest subject of the country where Muslims live. 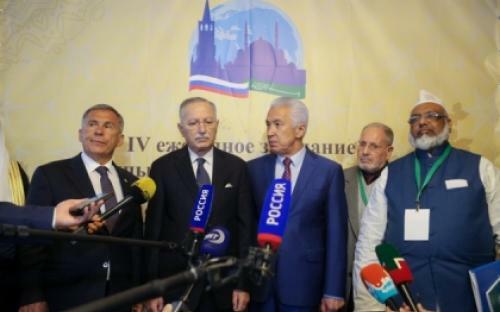 He further explained the significance of such events for Muslims of Russia and how they interact with other Muslim countries, in particular with the United Arab Emirates in consultations on various issues of promoting halal products, lifestyle, education, medicine, tourism and other conditions for Muslims. In turn, the head of Dagestan, Vladimir Vasilyev, spoke about the work carried out in the republic with young people.